A third of artists have subscribed to art magazines in the past but no longer do so, while many artists now find the content they want online. 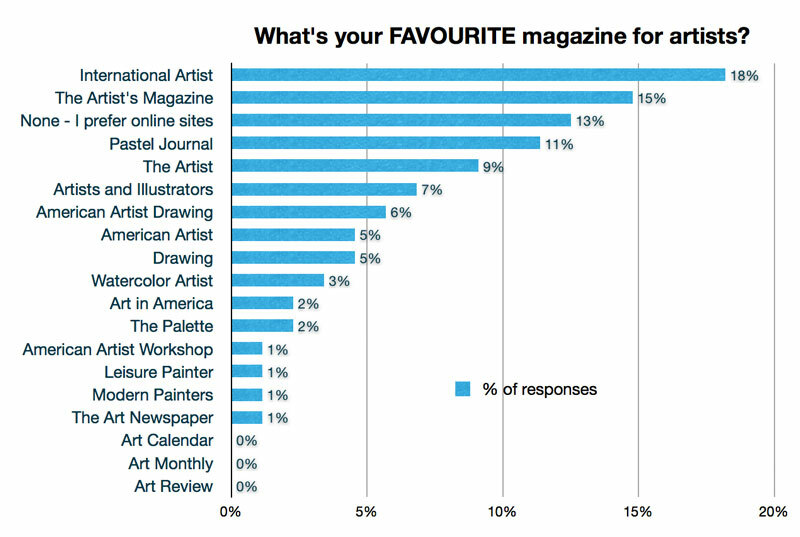 International Artist emerged as the favourite art magazine of most artists in the June Making A Mark poll. The Poll had two parts. In the first part I asked Do you have a subscription to a magazine for artists? and 68 people responded. For me, this part of the poll provided the more startling result. Interestingly it emerged that I am far from alone in my recent decision to let my journal subscriptions lapse. I was quite amazed by these figures. I'd always assumed that people tend to fall into two groups - those who subscribe and those who don't - and that if you have a tendency to subscribe (as I do) then it would be a big deal to give up a subscription. I never expected that the figure of those who have "lapsed" would be so high or that it would be about half the figure of those who continued to subscribe. What I expected was that there would be far more artists who had never ever subscribed. 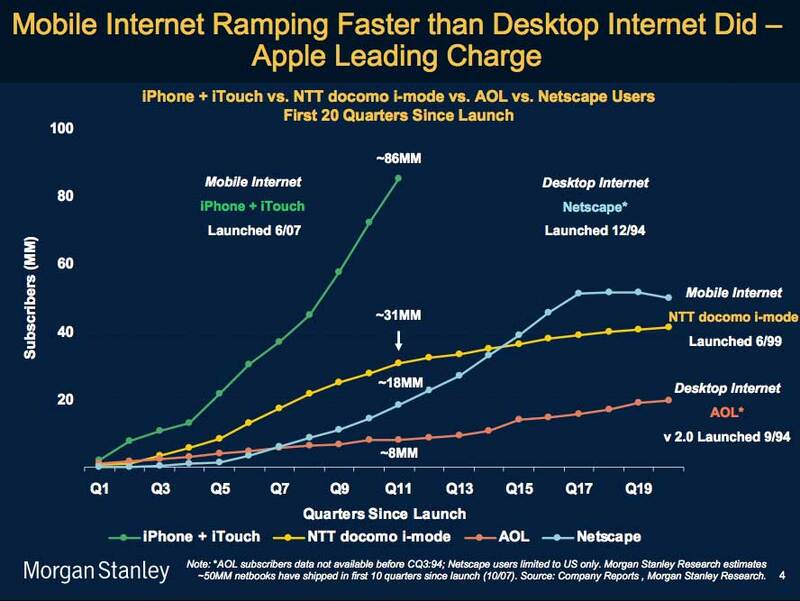 I'm wondering whether the figures are in any way connected to the rise of the Internet and our access to information online. Ten years ago I would not have imagined that I could access the material online for free that I can do today. Five years ago when I started blogging I never imagined that I'd ever give up my subscriptions to art magazines (and I used to subscribe to three). I gave up my subscriptions because frankly the content while good was no longer looking good value for money - there was neither enough of it and it wasn't pitched at the right level. To a certain extent it reflected my feelings about the way that art book publishing has been going - too much dumbed down and too little which told me something new. At a time when newpapers are having to get digitally switched on in order to survive and the once mighty Times Newspapers have disappeared behind a paywall in order to try and stem their losses one can only wonder what the future holds for art magazines if they can't keep traditional subscribers! What I find surprising is that there are so many titles and I guess the spread of votes across the different titles provides one of the answers to that. Whether all are viable in the longer term - within the context of my comments to the first part of the poll - is anybody's guess. What was particularly interesting was the percentage of artsist who said they were very happy with the content they found online. Maybe that's where the two polls connect? 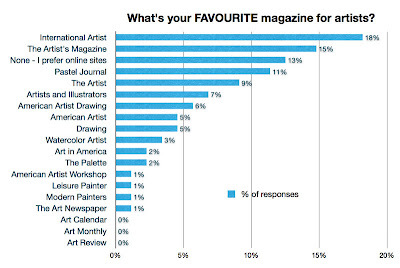 There's fewer artists subscribing to magazines because they're finding what they want online? Posted by Making A Mark on Wednesday, June 30, 2010 0 comments Who's linking to this post? 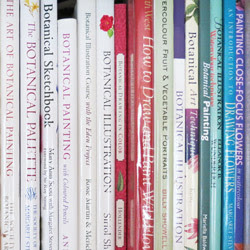 Who's been making a mark in the world of art books in June? 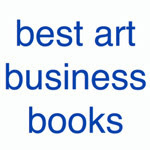 Read this post if you want to know which are the top rated and/or best selling art books in June! 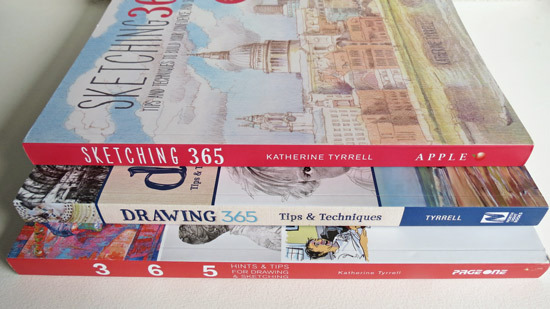 Regular readers of this blog will recall I've been greatly intrigued by the listings in the categories used by Amazon and how difficult it can be to see which are the top rated and best selling art books. 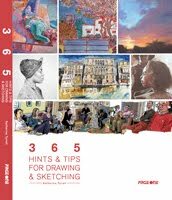 As a result I've created my own listing Makingamark's Top 10 Fine Art Books which focuses on my interests of drawing, painting, artists, art business and what's new - as detailed below. Amazon has crashed! explains why I had a terrible time yesterday trying to produce the updated list!!! However it's now ready. 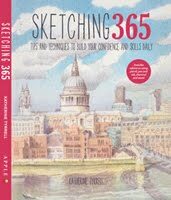 Just click a link and go straight to the catrgory of your choice and find out which I think are the top 10 art books in June! 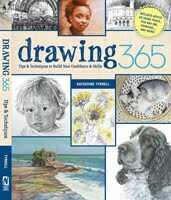 DRAWING - Best Selling Drawing Book in June - 57 days in the top 100 and ranks in the #1 position - it's a brand new best seller and it doesn't even publish until tomorrow! Must be pre-orders by mixed media artists! Last month's "Drawing on the Right Side of the Brain" ranks at #27 woth Keys to Drawing at #41. Remember this site changes every month! I'm trying to produce my post about the top 10 art books in June - and Amazon.com has crashed! I can't ever remember Amazon having crashed before. It turns out that it has an amazing record for not crashing. Apparently it's been having a bad time all day - oscillating between "sort of" OK, then the book titles disappear, then the books disappear and then I get what seems like an infinite variety of error screens. In fact I've seen more error screens while trying to access it than I knew existed. Even the screen for their outsage page disappeared at one point. Amazon have also been very quiet about what's going on. It's supposedly now fixed - but if that's the case I'd like to know where are all the books on my information sites! There was an error connecting to the Amazon web service. Please try again.Sorry, there are no results available from Amazon. 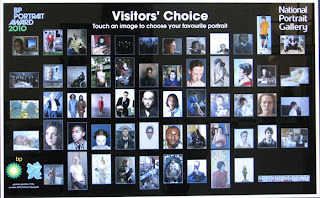 Posted by Making A Mark on Wednesday, June 30, 2010 2 comments Who's linking to this post? 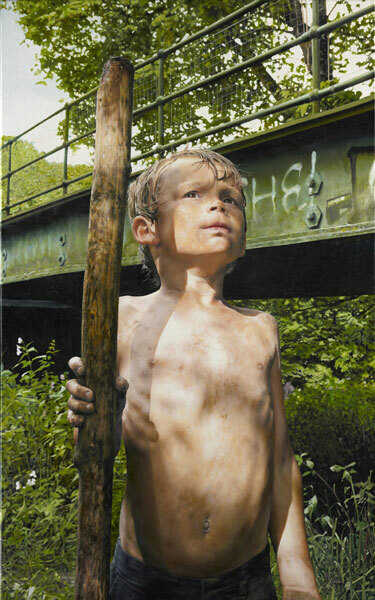 The artists selected for The Threadneedle Prize Exhibition have been announced. The shortlist of those eligible to win the prizes on offer will be announced in July. 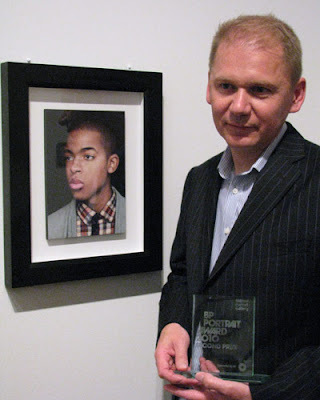 I wrote about this prize back in April this year - see Threadneedle - just another art prize in 2010? If the public vote coincides with the selectors’ vote, one artist wins a total of £35,000, making The Threadneedle Prize potentially the most valuable art competition for a single work of art in the UK. 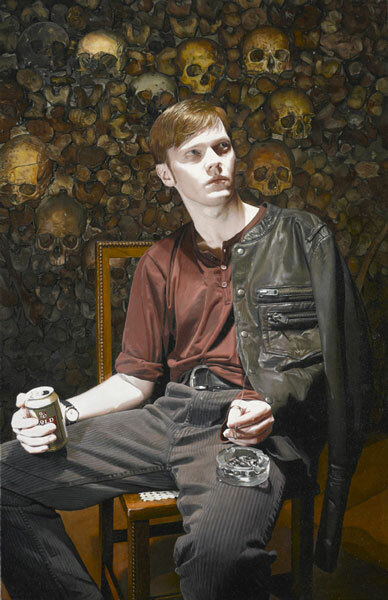 Exhibition: The Mall Galleries in London will be hosting the Threadneedle Prize Exhibition between 18 September 2010 - 3 January 2011. Eligible artists/artwork: The competition is open to artists of all nationalities, aged 18 or over on 1 January 2010, presently living or working in the UK. Artists could submit a maximum of three works which must have been completed after 1 January 2009. Works must not have been exhibited in any other prize or competition in the UK or elsewhere. Acceptable media includes oil, tempera, acrylic, ink, vinyl, watercolour and other dry media and can be on any form of support (canvas, paper, wood, plastic etc). 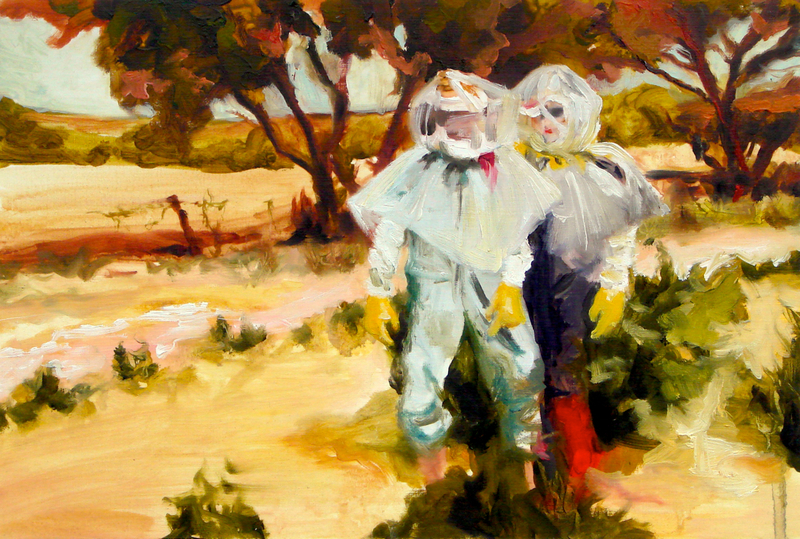 Works should be based on observation and experience, not on a conceptual or abstract world. Artists are encouraged to engage, excite and challenge the public on subjects of contemporary and topical significance. Submissions based on the human figure and other major themes are also welcome. You can follow The Threadneedle Prize on Facebook. You can see photos from submission days at Three Mills here - that's just up the road from where I live in East London! Posted by Making A Mark on Monday, June 28, 2010 0 comments Who's linking to this post? 27th June 2010 - Who's made a mark this week? Every year I really look forward to finding out who has won the most prestigious portrait prize in the world. This year the BP Portrait Award 2010 attracted 2,177 registered entries - an increase of 276 compared to last year. 681 (30%) of these were international entries and 2 of the five prizewinners artists who come from the USA. 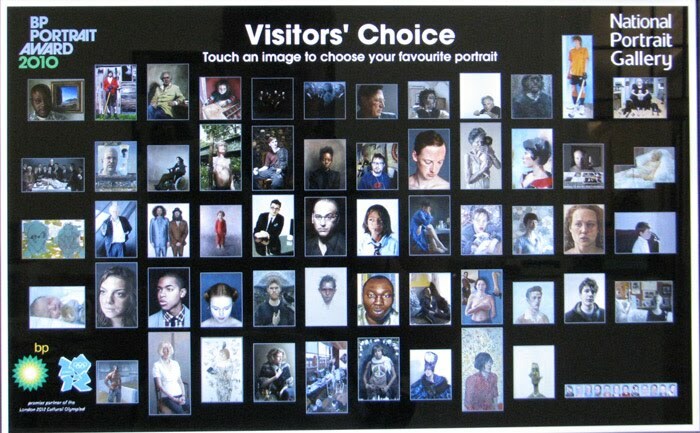 Of these 58 portraits were selected for the exhibition which is now running at the National Portrait Gallery until September. I visited on Tuesday evening and Wednesday prior to its opening to the publicand these are my posts this week as a result - more talk about approach and art materials this year. Video - BP Portrait Exhibition 2010 opens today - which includes a new venture for me - a video of the entire exhibition in under 8 minutes! Articles from the national news tended to place a heavy emphasis on the deathbed aspect rather than who won. 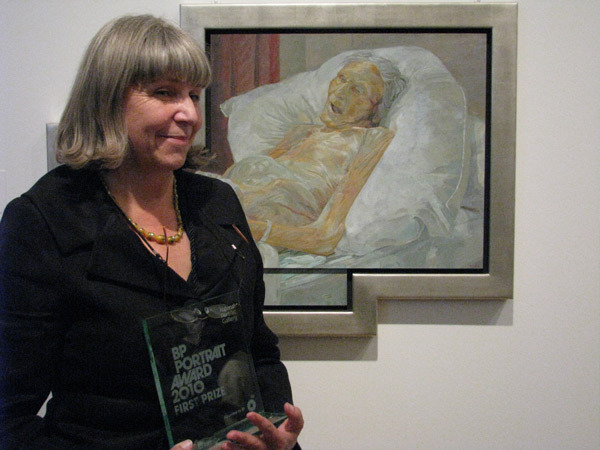 Examples included the BBC - Deathbed portrait wins BP award while I preferred Jonathan Jones who commented on The deathbed portrait's unique tribute. The BP connection: For those who are very concerned, as I am, about what's going on along the Gulf coast right now and the connection with BP, I felt that Daphne Todd who won the Award this year made a very salient point at the Awards ceremony on Tiesday night. She very rightly pointed out that art has always depended to a very large extent on patronage and art insitutions are always very appreciative of the support they get. Art competitions are a prime example. They are very important feature of the art scene as they have incredible potential to make very positive contributions to artists' careers. However the major awards absolutely will not happen without patronage and sponsorship and that inevitably means going where the money is - and if it's not BP then it's the Banks! At the moment, BP is danger of going bust having had £67 billion wiped off its share values. If it does then there will be a lot of very major art institutions which will lose massive sums by way of patronage/sponsorship as well as very many pensions funds both here and in the USA and all those people, animals and environment affected by the oil spill disaster. I don't quite see how anybody benefits by that. This is the link to enter next year's award. If it's still being sponsored by BP, I'd venture to suggest portraits of those who have dedicated their lives to wildlife might be very acceptable. So, this feels very weird. I feel like this is the first time I've ever blogged. In my whole life. What do I do? What should I say? Firstly, big thanks for all the messages, orders and concerns for my computer. The series of 100 is complete means that Bonnie Zahn Griffith's (Pastel and Paper Artist) project to repeat the same composition 100 times in totally different ways is finished. Last week I told you about my Art of the Landscape blog makeover and this week I "tweaked" it again! 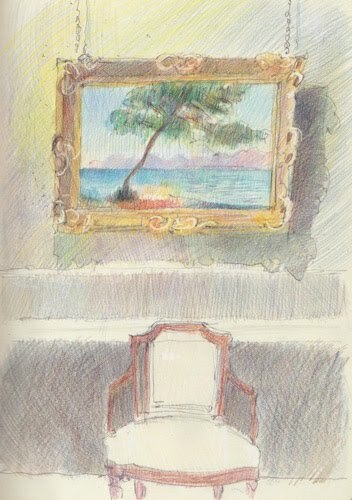 40 Antibes landscapes in 4 months by Claude Monet on The Art of the Landscape. I had not idea it was that many. That's a full size painting every 3 days for 4 months! Deborah Secor continues with her Landscape Painting in Pastels book blog. I'm including it under the landscape heading today as her comments are generic rather than pastel specific. 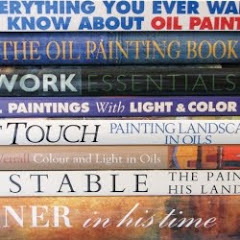 Recent posts include the end of her section on Landscape Subjects....and the start of the section about Colour. René PleinAir (René PleinAir) has posted a video of him painting the bridge at Nijmegen which I think I'm correct in saying was A Bridge Too Far in Operation Market Garden during WW2. 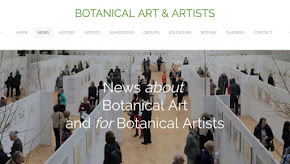 If you've not seen it before this is the Women Painting Women blog - lots of diverse and good quality constributions. The sand sculptors are out on force. This is Sea, sand and sculpture at the East Neuk festival. Summer Exhibition: I visited the Summer Exhibition at the Royal Academy this week - nice and quiet as England was playing a World Cup Match! I have to say I found it very disappointing and will be writing more about this next week. Art Bloggers: This is a bit late but you may still be able to find Tracy Helgeson's work at the summer exhibition of the Cooperstown Art Association (June 11-July 9). Each panel is 6"x9" and are priced at $225. Ben Curtis (Notes from Spain) wrote to tell me about his podcast Los Gazquez – Notes from Spain Podcast 77 about a very unusual place got art retreats and courses at the Cortijada Los Gazquez, an incredible restored country house in a wild Natural Park in Almeria in Spain. It's home to an ongoing artists residency and the owners have an incredible commitment to the environment - their house is almost entirely carbon-neutral. This is a post on his blog re his drawing Scaling ‘The Tree of Ben’ / Successfully Scaled (or at least well into the lower boughs). It sounds great for those who love Spain, an ecological approach to development and fancy an art break with Engish-speaking hosts. This is the Los Gazquez blog and this is Ben's art blog Tree of Ben in which he is learning how to draw. I started to look around for more workshops for artists which have an emphasis on protecting the environment and carbon neutrality and found some evidence of workshops using environmentally conscious buildings (eg Saltburn Artists Project) - however I'm sure there must be more out there. Do let me know. Please do not allow your jaw to drop or your eyeballs to bug out when you inquire about prices. Spitting out your lemonade is also unnecessary. Simply take a slow, deep breath and back away from the booth without bumping into anything with a price tag on it. I was fascinated to find out about the various art materials used by the prizewinning artists this week. One result was Oil painting on Sintra PVC Board on Making A Mark reviews.... I've never heard of it before but it produces a very good looking painting in the right hands! Slow page rendering today is typically caused by server delays or overly fancy page widgets, not by big images. 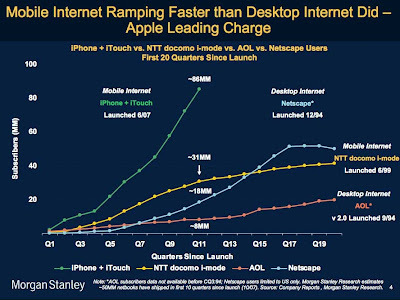 Users still hate slow sites and don't hesitate telling us. Comparing FeedBurner and FeedBlitz features and benefits written by Feedblitz so not without a tad of bias! Personally speaking I am always totally confused every time I visit the Feedblitz site. There has to be a better way of allowing people to access their accounts/feeds. The Times and Sunday Times are now behind a pay wall. It's £1 for a day or £2 for a week's access - so there will be no more references to those newspapers on this blog. Google searches will no longer turn up Times stories, and links posted on social networks will only take you to the papers' sign-in page. News International has opted for the most extreme form of paywall - others let search engines crawl their sites, or offer non-paying visitors a few free articles to entice them in..........This is more than just an experiment in whether people will pay for news, it's a strike against the prevailing philosophy of online journalism, which says that the most important thing is to make your material shareable to the widest possible audience. According to his biographer Michael Wolff, Murdoch has not used the internet, let alone Google (he only recently discovered email) and so he cannot possibly understand the dynamics, demands and opportunities of our post-industrial, now-digital media economy. Speaking personally, I've never understood what the point is of having paywalls for news. It's not as if you have an exclusive good or service - unless your output is way better than everybody else's (eg Wall Street Journal and financial news) - so why would people pay? As you might be able to guess from the tenor of this post, I'm all for promoting sites which are happy to participate in the global community and share online for free. While it may not have a significant impact on the conglomerate which is the Murdoch empire, I suspect this development might have the potential to decimate Times Newspapers Ltd. especially as the two newspapers last year made a loss of £87million. Others will be watching with interest. In the meantime, never a slouch, the Huffington Post announced its Welcome to the New Huffington Post Arts Page. which is at It's not actually new so much as revamped - and, of course, it might well be trying to fill a new gap in the market! Posted by Making A Mark on Sunday, June 27, 2010 6 comments Who's linking to this post? Categories art, art blogs, art competition, Art Galleries and Museums, art news, BP Portrait Award, coloured pencils, drawing, exhibition, exhibition review, landscape, painting, portrait, website matters, who's made a mark this week? That means every time he's entered he's achieved some form of recognition. That's a record unparalled to my knowledge in the history of the competition. I also can't think of anybody else who has won 2nd prize three times. Normally, with that sort of track record, if any artist is shortlisted for a third time then they normally win. (he) only got to know his sitter, Harry, when he agreed to sit for him. Having seen the sitter whilst he was out shopping with his family, Michael was persuaded to approach him by his wife. We talked about the art materials he uses and what sort of portrait he aims to produce. Michael started painting in egg tempera in the mid 90s for very practical reasons. He had his studio in the house and needed a paint which was clean and relatively odorless (compared to the alternatives). Egg tempera requires a rigid surface so I wondered what sort of what sort of support and preperation he uses. It turns out that his boards are made of mdf (but he makes sure that it's the type of mdf without the formaldehyde). He then applies the gesso himself and he makes his paints from pigment from Cornelissen, However he joked that the shop would never count him as a great customer as apparently he has still got a lot left from his first ever purchases! He also uses very small brushes - sizes 0000 and 00000 - which are ones typically used by miniaturists. His paintings take him about three months to produce - however the elapsed time will often be longer as he often allows the paint to rest to allow the paint to settle on the board. In my view, his paintings glow and demonstrate that he truly has mastered the unique properties of egg tempera which makes it a medium which can look as fresh today and in hundreds of years time. I like them a lot and I'm very sure that he will one day win the BP Portrait Award. Michael Gaskell comes from Sheffield but now lives in Leicester. His website is http://www.michaelgaskell.net/. 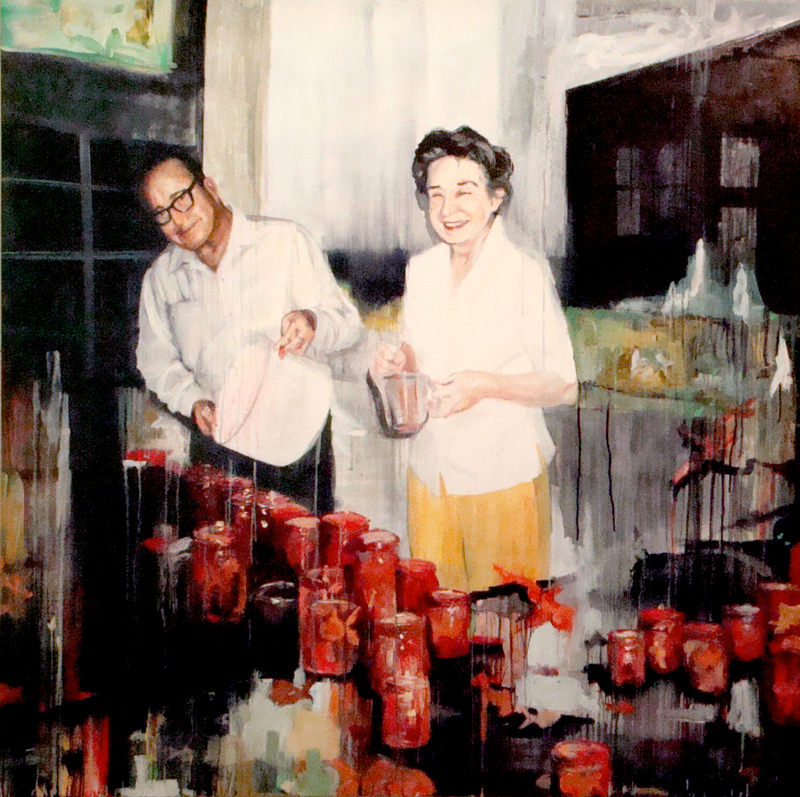 His work is represented in private collections in the UK, Europe, Asia and the USA. 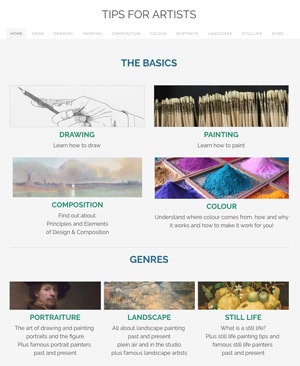 If you'd like to know more egg tempera, can I suggest you take a look at my information site Egg Tempera - Resources for Artists - which includes a link to Michael's website. 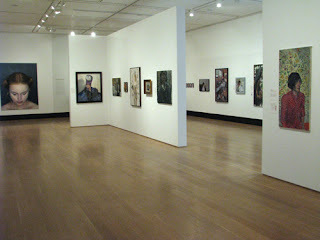 Aberdeen Art Gallery (27 November 2010 - 22 January 2011). Posted by Making A Mark on Saturday, June 26, 2010 1 comments Who's linking to this post? The portrait of Timothy A Stover, a sculptor who has a studio below David's, represents a point in time. Every day, on the way to his studio, David passes Tim and every day, Tim looks up at him with exactly the same expression on his face - as he has in the portrait. We discussed his approach to the physical creation of portraits. He enjoys studying portraits by artists from the past and is a big fan of Holbein's portraits. Thus, as with Holbein portraits, the portrait of Tim includes various symbolic motifs - such as the shape on the wall which is the outline of the state of Ohio. There's also a connection to GI Joe and the USA's response to terrorism in the cobra logo on Tim's T shirt which I didn't quite understand. I'm guessing this might relate to his welding mask and the mask of the Cobra Copmmander! David paints using a photograph as a reference - but the photograph he uses is one which has been manipulated and worked on a lot using a digital graphics program - until it provides the image he wants. He then copies it to the support using carbon transfer. He uses a support which I'd never heard of before - a synthetic pvc panel made by Sintra (you can read more about it here) which is completely inert, very rigid and does not warp. Its commercial use if in signboards which have to withstand the extremes of weather - outside! He then coats it with an acrylic gesso which creates a very smooth eggshell like finish. For paints he goes with whoever provides the colour he wants to use but mainly uses paints by Sennelier, Daniel Smith and Jack Richeson. The T shirt was painted using Daniel Smith's lapis lazuli. David lives in Toldeo, Ohio and graduated from the University of Toledo with a degree in sculpture and painting in 1998. 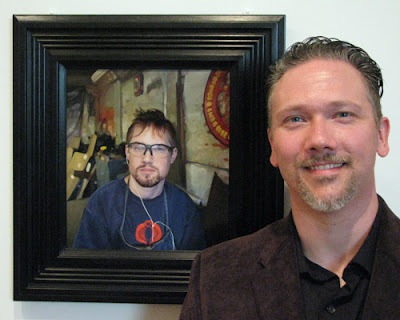 Last year he was a Finalist in the Outwin Boochever Portrait Competition 2009 at the Smithsonian. Elizabeth McDonald comes from a small town near Dallas, Texas and was living in Austin prior to her move to the UK. She's currently studying for a Masters degree at the Glasgow School of Art in Scotland. We talked on Wednesday about her approach, technique and materials. Elizabeth aims to use very traditional methods for painting but to create artwork which has a more contemporary style in terms of subject matter. Most of her paintings are a lot bigger than the one she entered for this competition. Her portrait is of one of her fellow students on the Masters degree course. Camillo Paravicini was somebody she didn't know very well and we agreed it's difficult to get tired of looking at somebody you don't know too well. It reminded me very much of Piang Jiang from the 2008 Exhibition who also won the Young Artist Award, who had painted his new flat mate who he'd only met a few weeks earlier. Developing an ability to paint somebody unknown to you is after all what portrait painters do all the time! She says she has a tendency to work a lot with warm colours. This one started with a red/orange ground and underpainting which she progressively cooled down as she painted. She painted the portrait over three sittings. One sitting for the face and body position, one just for the hands and one to complete the work. She was particularly keen to get the effect of the highly reflective black desk. Elizabeth uses M Graham oil paints which use walnut oil. This has a unique refractive index, is non-yellowing and according to Elizabeth has a really nice viscosity - very buttery. She has no need to use thinner and if she brushes walnut oil over the paint it pulls the pigment which creates the interesting textural marks in the painting. Posted by Making A Mark on Friday, June 25, 2010 0 comments Who's linking to this post? 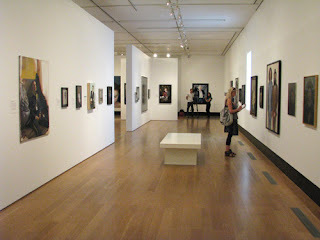 This year I'm taking a different approach to my coverage of the BP Portrait Exhibition 2010. During the Press View yesterday morning I shot a video of the entire exhibition. It's very definitely handheld and shaky in parts however I hope it gives you a real sense of the type and size of work which was selected this year. That's not to say that next year's exhibition will look like this. Every year is always different. I think it's a very good exhibition this year. There's much more diversity, fewer "big heads" and a greater range of ways in which subjects have been treated. Self portraits are getting more and more interesting and the ensemble portraits also demonstrate innovation. To my mind, creativity seems to have taken over from photorealism. That's not to say there aren't some exquisite portraits which have captured the detail. It's just that they don't look like photos - they're better than photos! 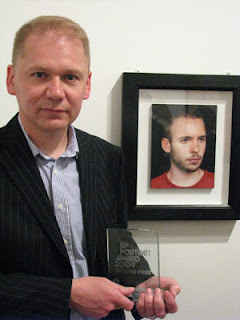 BP Portrait Award 2010 is the link to my VIDEO OF THE EXHIBITION on YouTube. I've not embedded it here as it's nearly 8 minutes long and this blog takes long enough to load already! Many thanks to Neil and Eleanor and all at the National Portrait Gallery Press Office for their kind permission to video the exhibition. I'm still getting to grips with processing videos on my iMac so please excuse the lack of technical wizardry with the video I shot. There are some great stories behind the images. The Jameson family are having a real family affair with the BP Portrait Award. 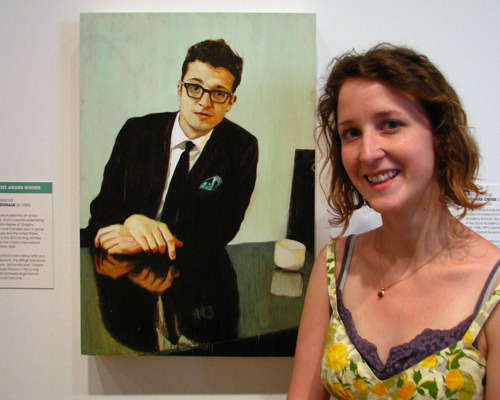 Mark Jameson is last year's Young Artist of the Year for Benfica Blue his portrait of his sister Lyndsey. This year Mark's back again with an excellent self-portrait which creates a spin on momenti mori. Lyndsey meanwhile is on the other side of the gallery with her splendid portrait "Sentinel" of their much younger brother. Posted by Making A Mark on Thursday, June 24, 2010 4 comments Who's linking to this post? In her speech on receiving the award she highlighted how her career has been a prime example of the benefit that this very prestigious award can bestow on those shortlisted for a prize as well as those who win it. It enabled her to give up work and become a full-time artist and she subsequently became the first woman President of the Royal Society of Portrait Painters. She also commented on the support given to the portrait award by BP and thanked the company for their continuing support in this the 21st year of the BP Portrait Awards. She made the point that art competitions simply could not and would not exist without sponsorship. Sponsorship for a prestigious art competition which helps an artist's career is always much appreciated. As she wryly commented - with her past experience of being involved in such matters - one has to look for sponsorship whereever the money is and if not BP then one would need to look to the Banks! Her mother lived with her for the last 14 years of her life and celebrated her 100th birthday prior to her death last year. Daphne Todd had painted her mother many times over the years but her mother never liked the results - possibly because the portraits were too realistic. Neveretheless she'd given her daughter permission to do the portrait before she died. We talked about her habit of painting from life and Daphne Todd commented that this is a "painting from death". Her mother has died and is lying on her cushion in the refrigerated room of the undertakers. In practical terms it meant she had to work quickly while the body started to change and she managed to complete the portrait in just three days of solid work. Her portrait reveals the distortions of a body affected by osteoporosis, the stomach is filling with gas and turning green and her skin is becoming transparent. I asked her why she had painted her mother in this way. There were two reasons. First it was primarily about coming to terms with her mother's life ending; second, because she was simply curious about what death actually looked like. She's previously only seen people who had died after they had been prepared for viewing by the undertaker. She had absolutely no plans for the painting beyond actually doing it. A friend visiting her studio had seen the painting and prompted the entry. She'd had absolutely no expectations of being shortlisted never mind winning - she saw herself only as some sort of notional 'older artist'. As I talked to her about the experience, she leaned across and patted her mother on the arm - in thanks. Posted by Making A Mark on Tuesday, June 22, 2010 4 comments Who's linking to this post? 20th June 2010 - Who's made a mark this week? 13th June 2010 - Who's made a mark this week? 6th June 2010 - Who's made a mark this week? What's your favourite magazine for artists?